With the latest update to Lodgical Solution Enterprise, it is now simple and swift to access reports in Lodgical! The new feature, Report Explorer, decreases the run time to load reports, which makes for a smoother, more efficient day. 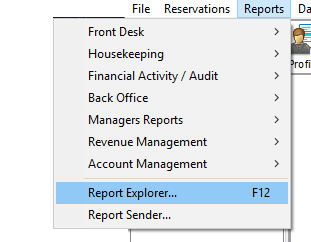 Don’t remember what category your report is under? Now with just one click, you can view all of the many reports Lodgical has to offer. In order to have access to this application, you must update both Lodgical Solution and Reports. If you’re not sure how to update your software, please call us at 920.746.0606. To update your Reports: Go back into updates and choose Reports and click Download Update. A reports update will not require a password. The Report Explorer will now appear. 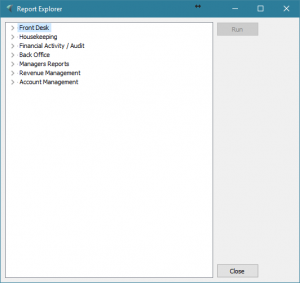 Select the report you want to run and click Run. If you have any questions about this feature, please call us at 920.746.0606.